23 adults and 5 children took part in the Effingham Litter Pick yesterday organised by EFFRA as part of the Great British Spring Clean. 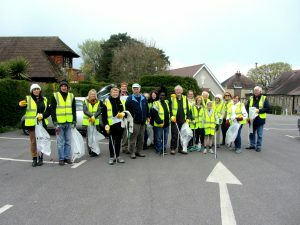 20 full bags of rubbish were collected in 90 minutes of litter picking. Thanks to everyone who took part and to the organisers who did a great job. We hope Effingham is looking cleaner as a result and residents will help keep it that way.